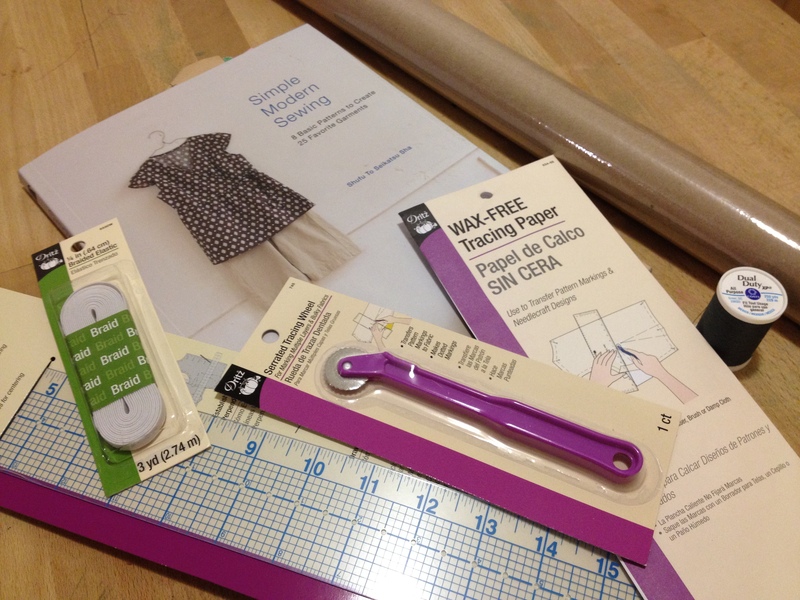 Last night I was all set to get started on a sewing project from my newest pattern book, or so I thought! It turns out that this is the type of pattern that you have to transfer onto craft paper (or something similar) with tracing paper and a rotary cutter. I didn’t have any of these things, so today was a shopping day. And now I think I’m ready! Wish me luck!